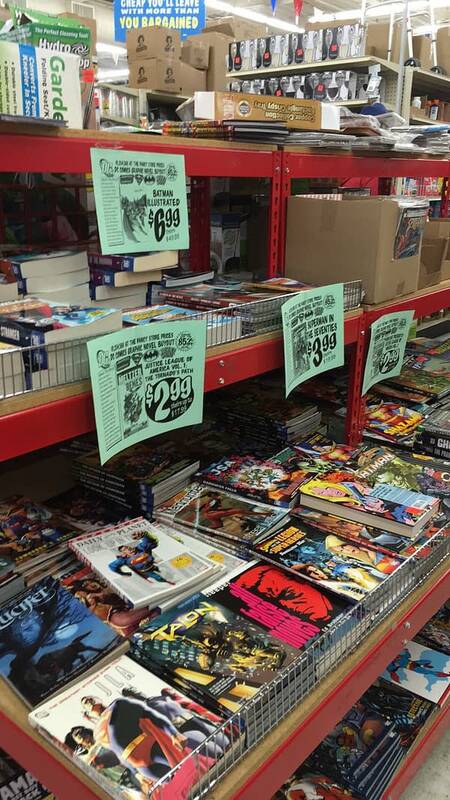 Eight hours ago we ran the story that the discount chain Ollie’s Bargain Outlet was having an 85% sale off of DC Comics collections cover prices. Omnibuses for $13. Standard trades for $3. So many, many bargains to be had. It appears the word is getting around. He took a picture of what was left. I’d get down there now if I were you… seriously, they’ve got Sleeper trades for $3? You can’t find Lucifer trades anywhere now… JLA too! Bleeding Cool is not on a commission from Ollie’s Bargain Outlet. But damn it, we should be. Here’s how to find if there’s one close to you.